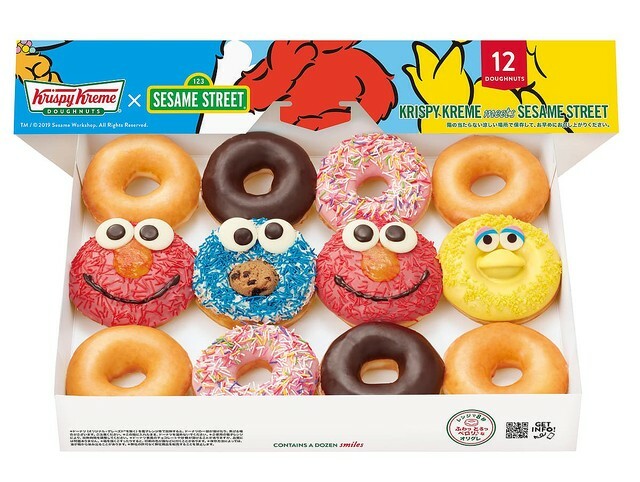 Krispy Kreme Doughnuts Japan (KKD) is celebrating 50 years of Sesame Street with a collaborative box of doughnuts which will be released on February 20. Sesame Street is a long-running American children’s TV show that combines live action and puppetry. This year marks the series’ 50th anniversary during which it has been enjoyed in 150 countries worldwide. 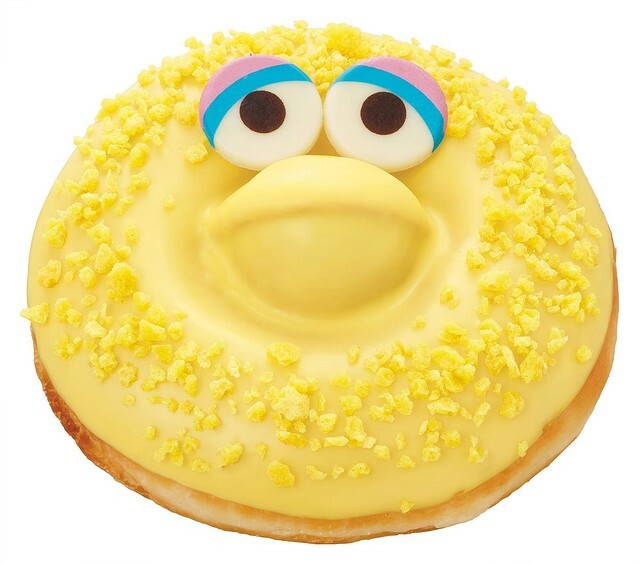 KKD has create doughnuts based on the popular characters Elmo, Cookie Monster and Big Bird. Limited edition “Sesame Street Dozen” boxes of 12 doughnuts are also available in limited quantities which include these three doughnuts as well as the store’s most popular doughnut selections. A special paper craft set can also be downloaded and printed from the official KKD Japan website once the doughnuts are released. 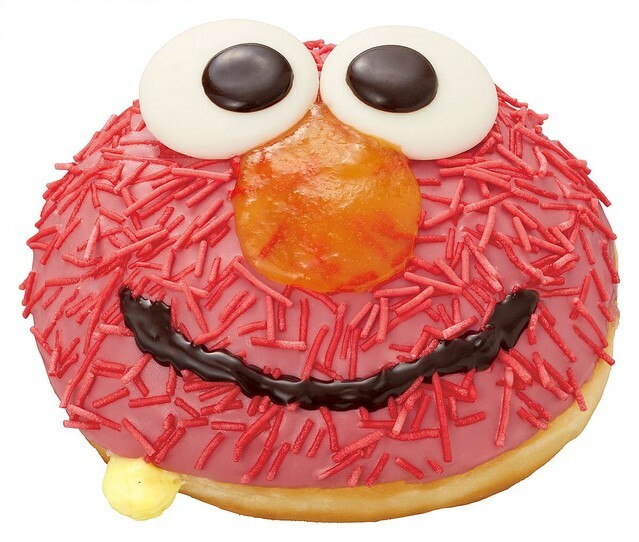 Fans of Elmo can look forward to enjoying this custard cream and vanilla bean-filled doughnut covered in strawberry chocolate and topped with red sprinkles. His big wide eyes are made from white and dark chocolate and his nose from a sweet and sour mix of fruits for a burst of energy. Sesame Street’s Cookie Monster is never seen without his cookies, and this doughnut proves that by putting a whole chocolate chip cookie inside his mouth. 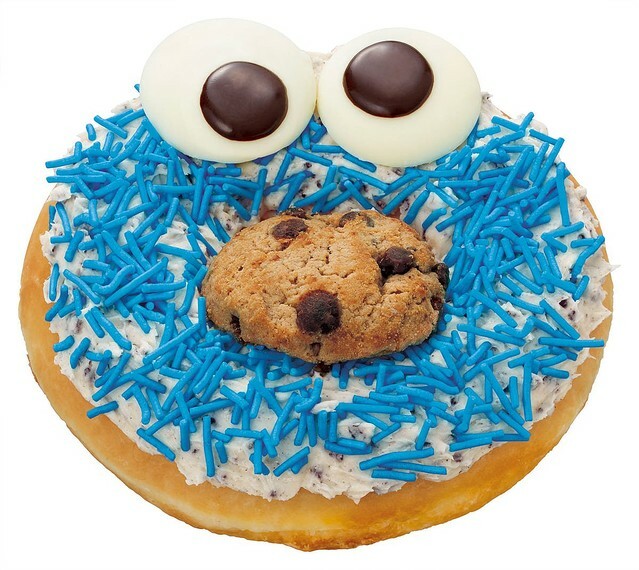 The doughnut is covered in a vanilla cream made with plenty of cookies before being topped with blue sprinkles. His eyes are also made with white and dark chocolate. Everybody’s favourite big yellow bird is made from custard pudding flavoured chocolate and crunchy pieces of butter crunch. His eyes are made from milky white chocolate and his beak from sweet castella. Celebrate 50 years of Sesame Street by picking up a colourful character doughnut!